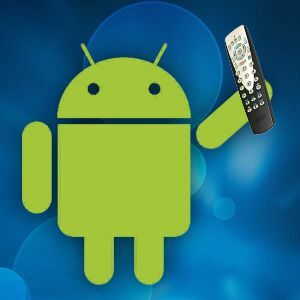 Android XBMC Remote Apps Compared - Which One Should You Use? Android XBMC Remote Apps Compared – Which One Should You Use? Control XBMC with your Android phone. Sure, you could buy a dedicated phone for your media center, but if you’ve got an Android smart phone or tablet there’s really no need to. Complete control can be at your fingertips right now. It’s only an app away. The XBMC wiki outlines a number of Android remote apps, some free some paid. I’ve tried out the free ones, and the results of my research are below. If you’ve no idea which app to try first you’ve come to the right place. These apps are actually better than a physical remote in some ways. You can browse your media collection without affecting what others see on your TV. In most cases you can even read plot summaries and check out album art, all before you even press play. Don’t have an Android device? Well, you can also use Chrome to control XBMC No Remote? No Problem. Use Chrome to Control Your XBMC Media Center No Remote? No Problem. Use Chrome to Control Your XBMC Media Center Use Chrome to completely control XBMC. Whether you want to browse and play your media or send a video you're watching on your laptop to your media center, a variety of extensions and tricks lets... Read More , or check out these iPhone and iPad remotes for XBMC The 3 Best Free XBMC Remote Apps For iPhone & iPad The 3 Best Free XBMC Remote Apps For iPhone & iPad One of the best things about XBMC is its compatibility with remote control applications, of which there are no shortage on the App Store. Today we’ll be taking a look at the best free remotes... Read More . Not sure what XBMC is to begin with? Check out the MakeUseOf XBMC manual, because it outlines everything this amazing app can do. There’s not a lot to complain about here: it does everything a remote app should. But as you’ll learn, better apps exist for the job. Browse all of your local media, found quickly. Can be slow, depending on your network – no local caching for images. Does not offer alternative to on-screen remote. Sadly, all tapping something does is open an app on-screen. You cannot explore its offerings within the remote. Still, it’s better than nothing. Also completely unique, Yatse allows you to add a remote control widget to your Android’s homescreen. Add a large enough widget and you’ll even see what’s currently playing. 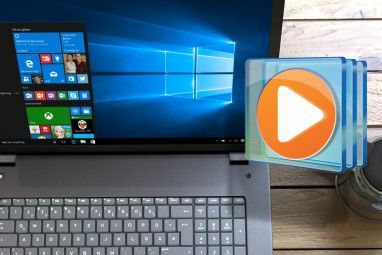 If you want constant, quick access to your media center computer you’re going to want this widget – but even without that, Yatsee is worth checking out. Clean user interface, though confusing at times. Files and thumbnails cached on device, so it’s speedy. Automatically scans network to find XBMC, making setup simple. Includes a virtual keyboard so you can avoid using the on-screen one. Can actually browse add-ons, though only at the top level. Check out Yatse Widget on Google Play. There’s a lot to love here, so check it out and explore. Great user interface – perhaps the best of the bunch. Includes shut down options for the computer running XBMC. Locally cached library only, meaning nothing will show up until you sync. Controls for a lot of things – even turning off or suspending the computer. Download the Music Pump XBMC Remote from Google Play. Looking for something simpler? You might be looking for Spooky. It’s easy to write this one off because of its homescreen, which perhaps lives up to its infantile name a little too well (Halloween font!). Don’t, however, because this is a solid Android XBMC remote. Similarly, the actual remote control part of the app couldn’t be simpler: buttons are completely undecorated, leaving things simple. There’s not a lot here, but some like it that way. I just wish it was a little faster. Kind of slow compared to other apps. Homepage might turn some people off. Great for people looking for something simple. Download Spooky from Google Play. Looking for something even simpler? AndMote is here for you. With your library on the left and buttons on the right, AndMote just might win you over with its single-screen approach. It’s simple, but it also works quite well. Simple interface for quick browsing. Browse media without leaving the remote interface. Offers keyboard in place of on-screen one. I’ve got to say, for me this isn’t hard. Yatse is the best XBMC remote in this list, hands down. 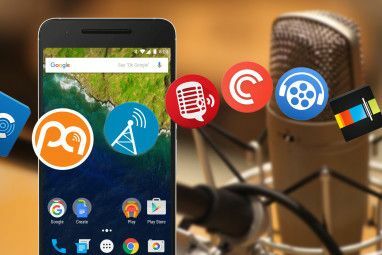 With it you can browser practically everything your media center has to offer, and to top everything off there’s a widget on your homescreen for quick access. The interface is great – though not perfect – and setting up is dead simple. If there’s a better Android XBMC remote out there I’ve never heard of it. What’s your favorite? 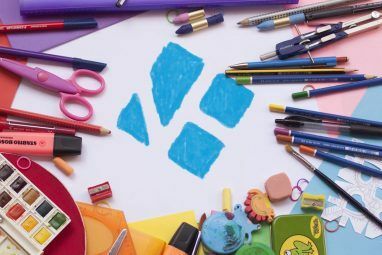 Let me know in the comments below, along with any other XBMC secrets you’d like to share. We’ve outlined more than a few XBMC tips and tricks, but I’m sure there’s more out there. Explore more about: Media Player, XBMC Kodi. Yatse hands down it always seems to work. I've tried all of them with the exception of music pump. Do you use anything like unified remote or win remote for other functions of a windows environment do you know of any remotes that will work with linux. And you can browse addons content from the file menu then addons, the addon direct menu is effectively only to start / activate or disable them. I love Yatse and everything it has to offer, but might check out Music Pump. Looks slick. PS4 vs. Xbox One: Which Is the Best Media Player?